V0015. 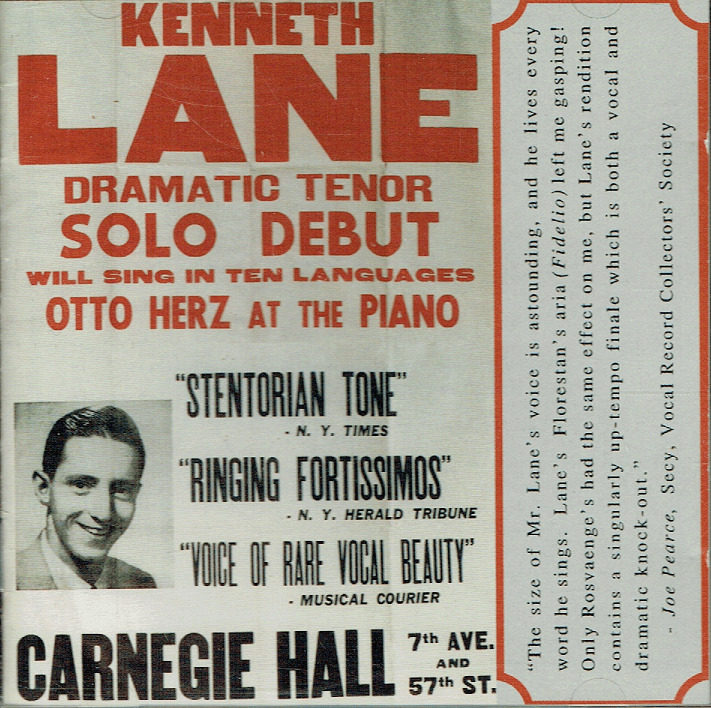 KENNETH LANE, w.Otto Herz (Pf. ): Songs by Mahler, Grieg, Sibelius, Alvarez, Gastaldon, etc. 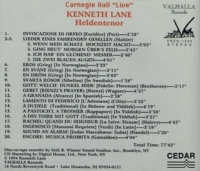 ; Arias from Rienzi, L'Arlesiana, La Juive, Judas Maccabaeus, Verdi Requiem, etc. 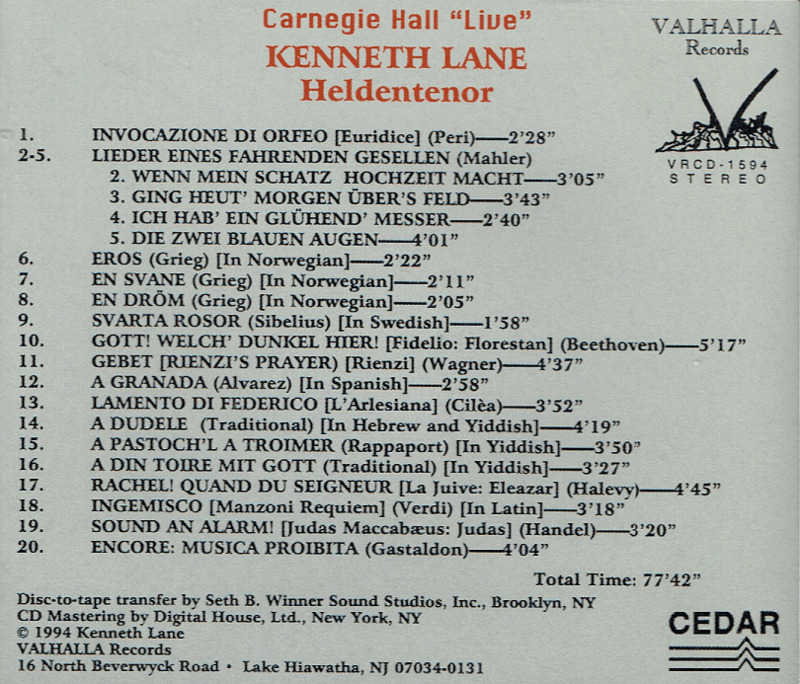 Valhalla 1594, undated (prior to 1994) Live Performance, Carnegie Hall. Program notes inscribed & autographed by Lane. “Mr. Lane's tenor is appropriately Wagnerian in both size and timbre, a very large, baritonally-centered, and some what burnished instrument with a carrying power many current tenors would kill for - one capable of negotiating top notes with ease.